MILLIGAN COLLEGE, TN (Nov. 7, 2013) — Milligan College alumnus Phil Roberts will speak at Milligan on Thursday, Nov. 14, at 11 a.m., in the Mary B. Martin Auditorium of Seeger Memorial Chapel. The event is free and open to the public. 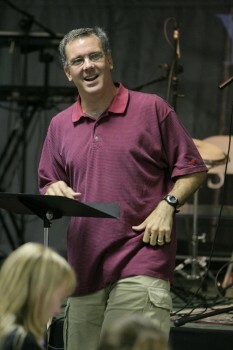 Roberts serves as the senior minister at Colonial Heights Christian Church in Kingsport, Tenn. Before joining the staff at Colonial Heights, he served in various roles at churches in Kentucky, Ohio and Georgia. He graduated from Milligan in 1993. His sermon is titled “Ridiculous Love” and is based on Matthew 26:6-13. The message will include a reminiscence of a mid-November Christmas party in Arizona, a retelling of an ancient act of extravagance, and a reminder to reach out and love ridiculously. Posted by tommy on November 7, 2013.